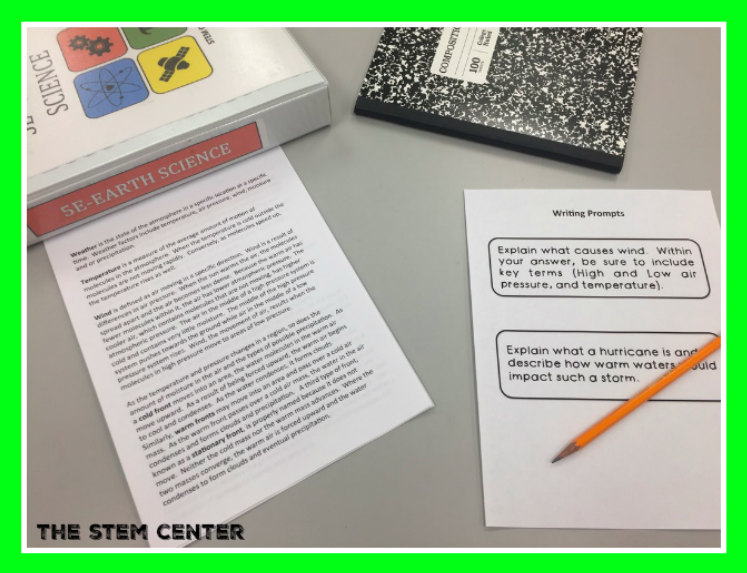 The STEM Center’s Mastery Stations are different than other student led labs. 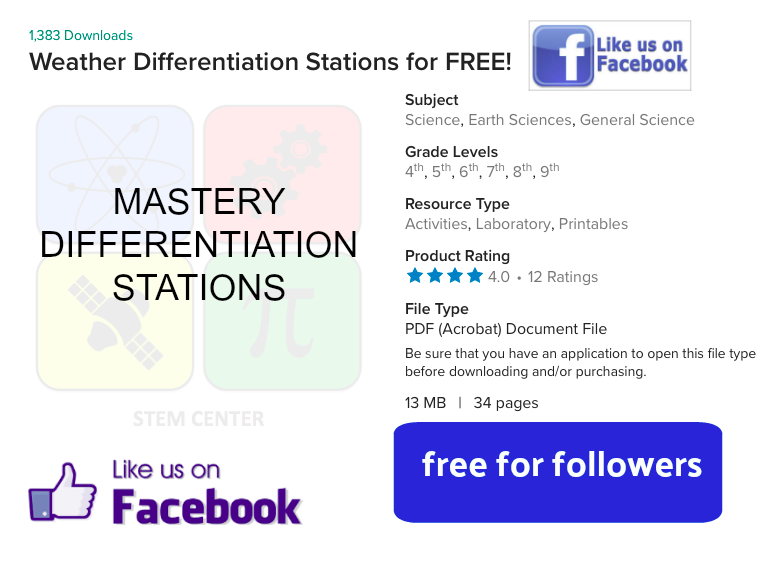 Unlike other student led activities, these Mastery Stations cover subject matter found throughout the unit. 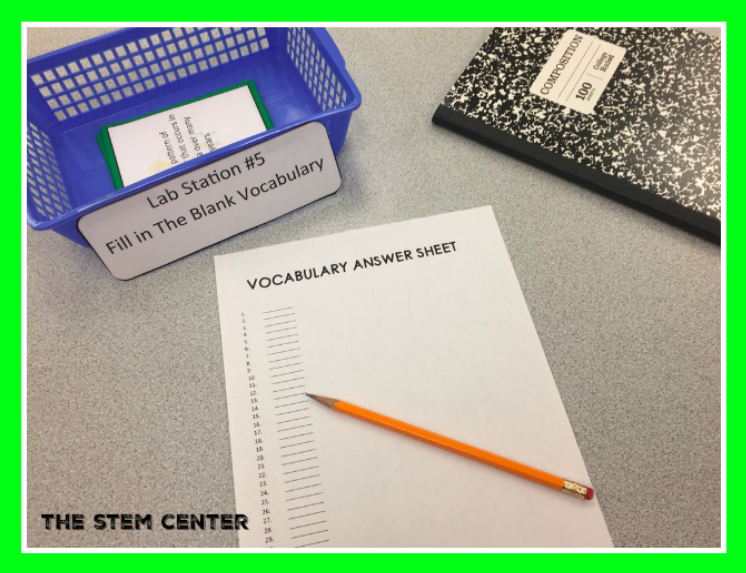 The Vocabulary matching station allows your students to become familiar with unit terminology. When using this station, I allow students to use technology to search for terms. The Sketch Station challenges students to draw and explain a space shuttle lifting off, a graph, and a ball going through displacement. Students are provided reading passages and asked a number of multiple choice questions. 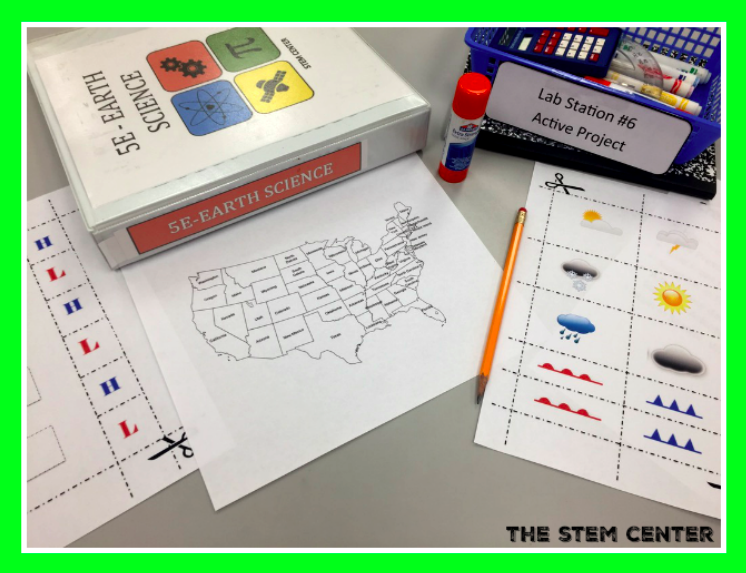 Our hands-on lab activity engages the student to evaluate a weather prediction and produce a weather map depicting the data. Students are provided reading passages and given prompts to produce writings. 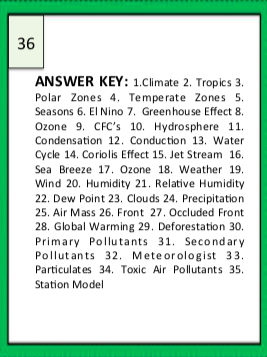 The fill in the blank station provides the student with 35 cards that have the definitions of vital weather vocabulary. 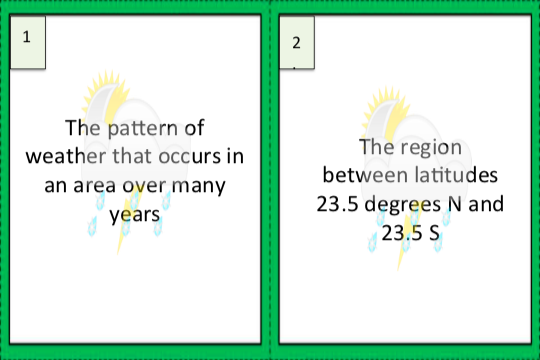 The students will read each card and then write down the appropriate term on the answer sheet.